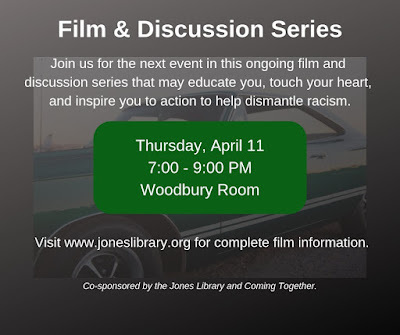 Come see, for free, what Clint Eastwood has called his last acting role. "Retired auto worker and Korean War vet Walt Kowalski (Clint Eastwood) fills emptiness in his life with beer and home repair, despising the many Asian, Latino and black families in his neighborhood. Walt becomes a reluctant hero when he stands up to the gangbangers who tried to force an Asian teen to steal Walt's treasured car. An unlikely friendship develops between Walt and the teen, as he learns he has more in common with his neighbors than he thought." 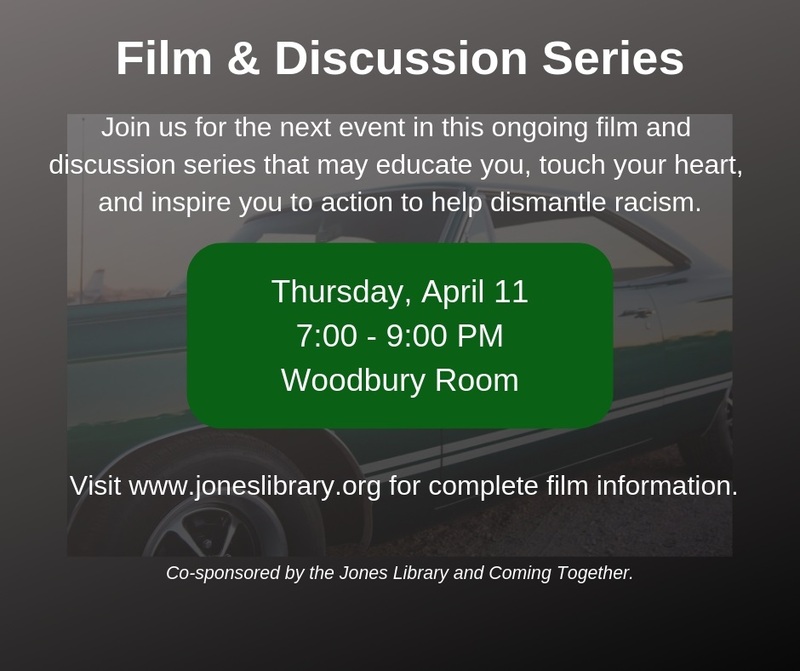 Please stay for a brief community discussion afterward, brought to you by the Jones Library and Coming Together. All are welcome.